Note: Talent personas have a big part to play in your recruiting strategy. 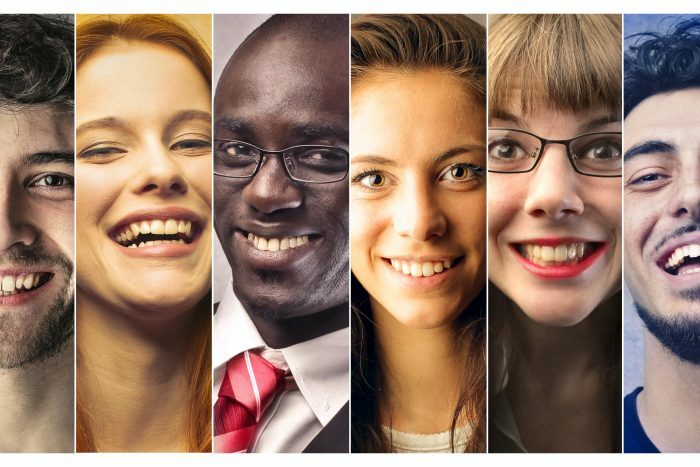 To learn how to build and use personas for recruiting see Creating Talent Personas Should Be Part of Your Recruiting Strategy. The best companies in the world know their customers inside and out. They know more than just who these people are and what their buying patterns are. They know why we buy. What makes products, advertisements and experiences resonate in a way that they felt made for you and you alone? Most likely, it was because you fit their persona. If this is the best practice for companies connecting with customers, why shouldn’t HR professionals use this same concept to truly understand their employees? HR and talent development must be the empathy centers for the company, utilizing deep insights about employees in order to maximize the employee experience, drive employee satisfaction, and boost retention. This is a tall order; HR needs to harness innovation to engage a workforce that demands more than annual reviews and one-size-fits-all development paths. Employing best practices from the world of product development, marketing and analytics provides the power to do just that. What does it take to actually put a persona-based insight center into action? Our work at General Assembly, with companies from fast-growing start-ups to some of the largest industrial and financial companies in the world, points to three factors for talent management organizations to better connect with their employees and close the gap on the nearly 70% of employees according to Gallup who are not engaged in their work. First, companies must understand the employee experience across different parts of the organization. A key tenet of building a persona is to realize that there are multiple personas and “customers” for any potential product. Similarly, in an organization, if the “product” is higher retention rates in the first year of employment, knowing each of the different types of new hires will be critical to customizing an experience that reduces turnover. New college grads have a different set of emotions, needs and touchpoints than internal candidate promotions or experienced external hires. Understanding who these “customers” are, how they’re unique, and what “products” they need is the first step. The process of building a persona yields insights beyond surface level demographics and psychographics (though these are important). Humanizing the persona to fit the employee’s desires and motivations is key to this approach. Consider a new millennial employee who, insights show, values collaboration and room for growth. What are they feeling as they take their first job? Is it a perk that the office is in a big city? Are they motivated by high-profile projects? These kinds of questions highlight intrinsic motivation; smart companies can use it to shape their interactions. Talent development is the department that must research employees to obtain these insights. Third, HR and the company as a whole must create a visible, deep-seated picture of each employee persona. This may be new to HR and talent professionals, but personas are nearly living, breathing things. For personas to be valuable, they must be taken to heart. One of our lead user experience instructors owns a mobile app development company and literally has created a cardboard cutout of its customer persona and brings it to meetings. This may seem extreme, but actually visualizing personas in some way (a printed card or poster, an “employee” in the company database, etc.) puts their concerns top of mind. So if “Molly Millennial” is your company’s new hire persona, your HR team should be thinking of her concerns and growth as you plan for her first 90 days and how she experiences the organization. With the digital world now simply the way business gets done, taking a page from the best practices of top product, tech and marketing companies like Apple, Google and more, allows HR to be nimble and to ultimately facilitate higher performing employees and a stronger culture. Mark E. Miller, is director of enterprise marketing, for General Assembly, a global education and training company focused on transforming people and organizations by boosting digital skills, knowledge and approaches. He has over 13 years of branding, marketing strategy, digital and communications experience and is an expert in the field of human capital and the intersection of marketing and organizational development. He was previously vice president of marketing with Emergenetics International.